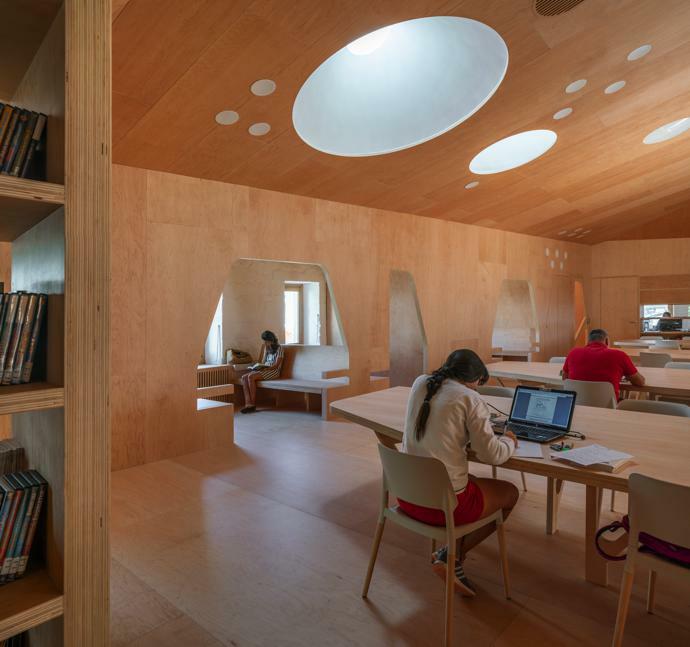 The new Baiona Public Library, designed by Murado & Elvira Architects, is a wondrous book lovers haven housed within a 17th century hospital. 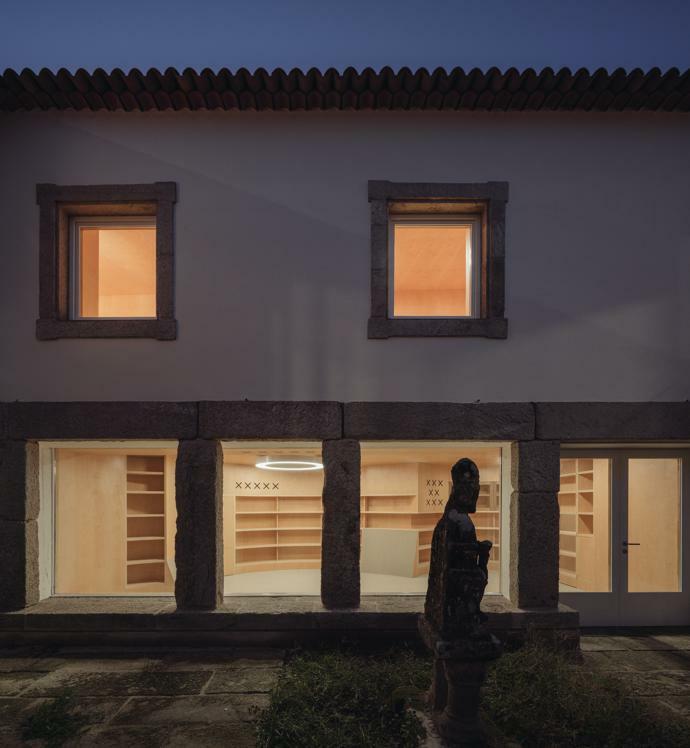 Located in Baiona, Spain, along the Camino de Santiago pilgrimage trail, this library houses preserved documents that date back to the discovery of the Americas. 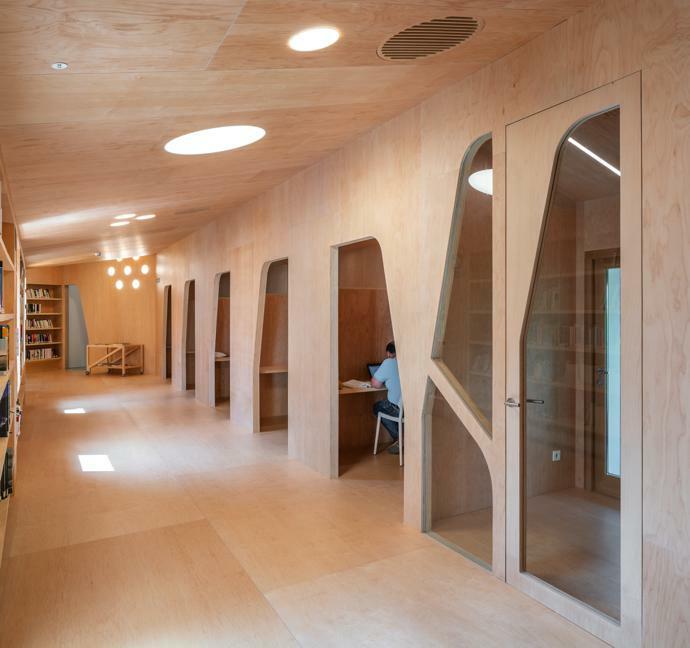 Dressed in impressive maple wood structures, the interior offers an ambience that is equal parts warmth and magic and leaves the exterior almost entirely unchanged. 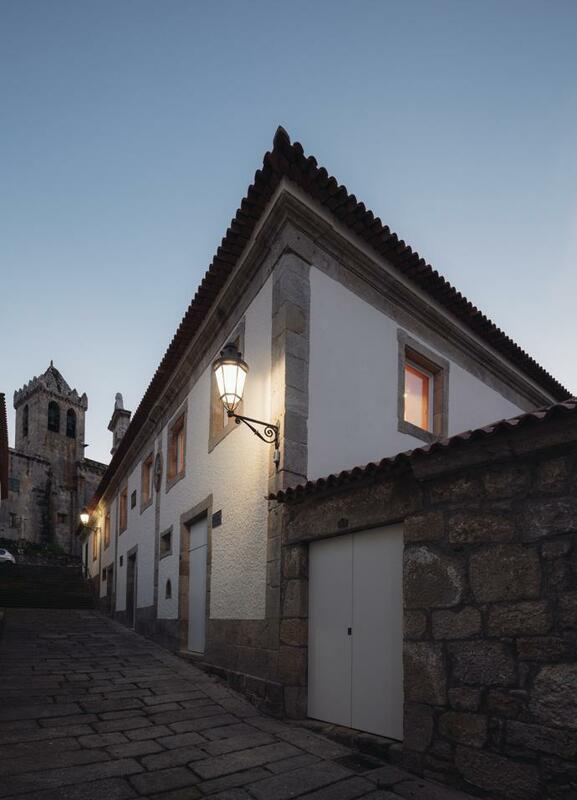 Formerly the Sancti Spiritus Hospital, this 200-year-old structure has naturally undergone a string of alterations and transformations, most of which resulted in the garden and patio areas losing their due importance. 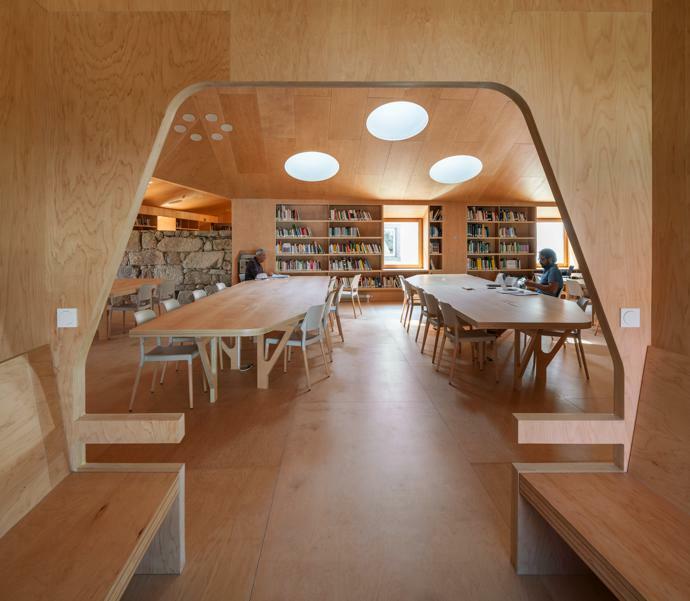 In this latest renovation, the architects aimed to make the alluring outdoor spaces deserving focal points once more. 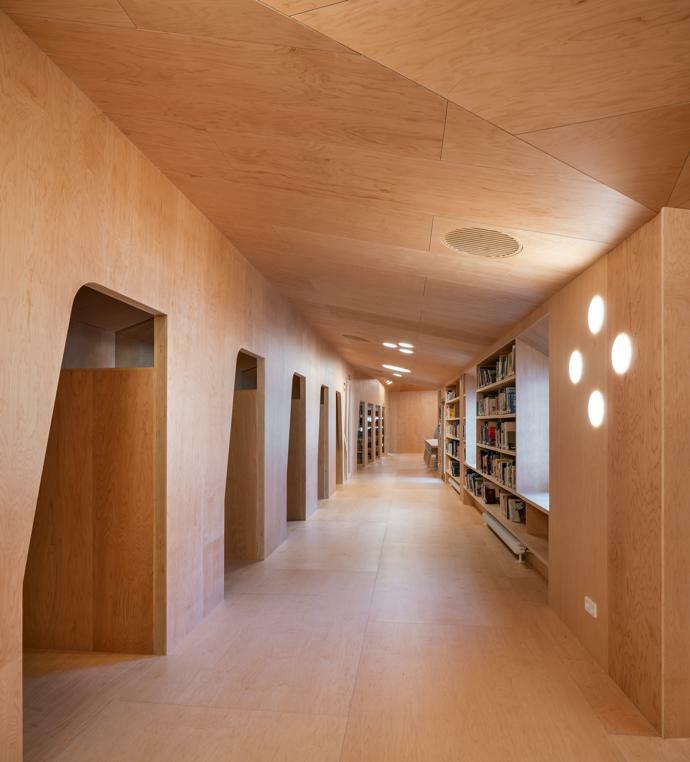 Solid structures are juxtaposed by soft wooden hues exuding a cosy ambience ideal for losing oneself in a good read. 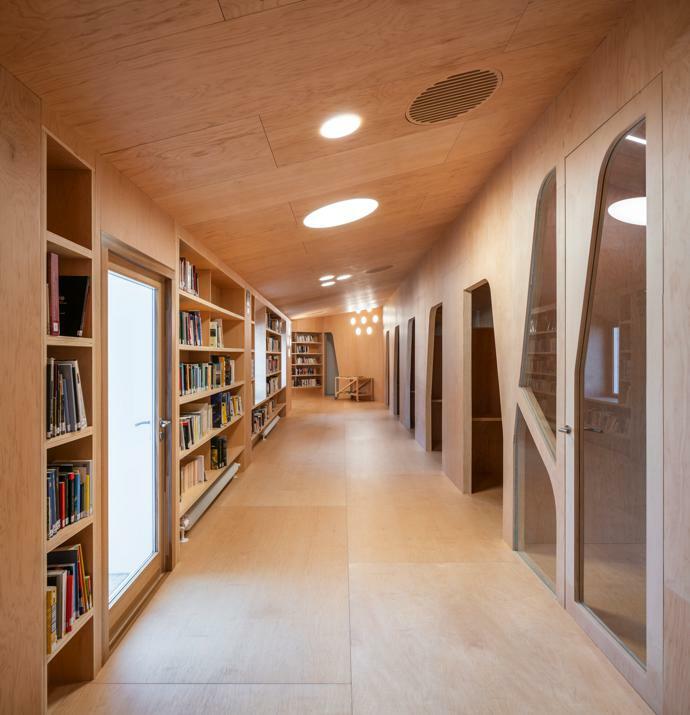 The main entrance is linked to the patio and garden via a large hallway that acts like an indoor street. 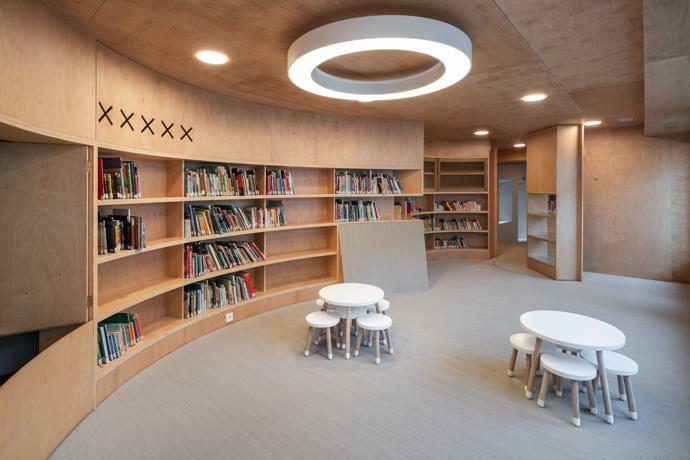 A grand stone wall houses archeological relics found within the original building and the playful wooden curves of the children’s library combine shelving, secret storage spaces and a puppet theatre. 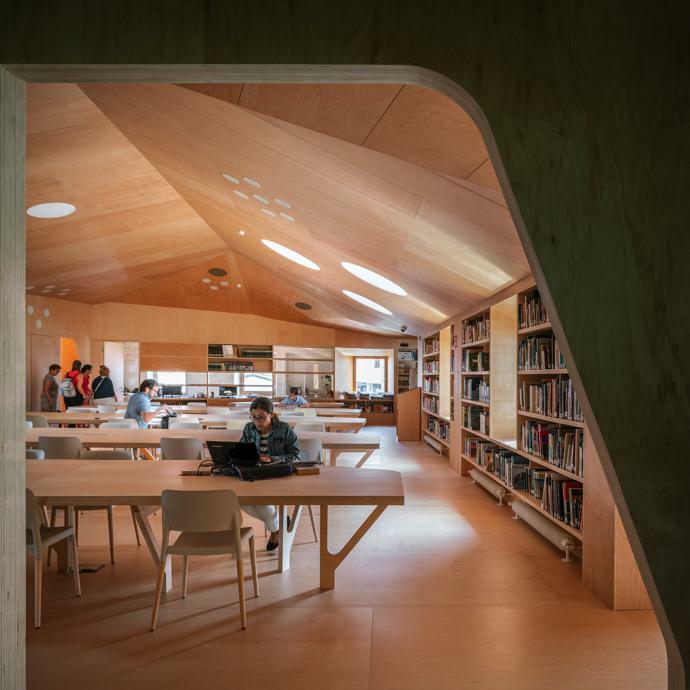 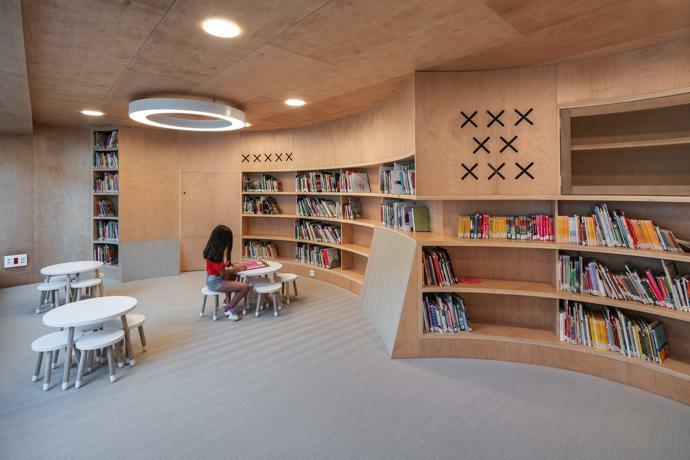 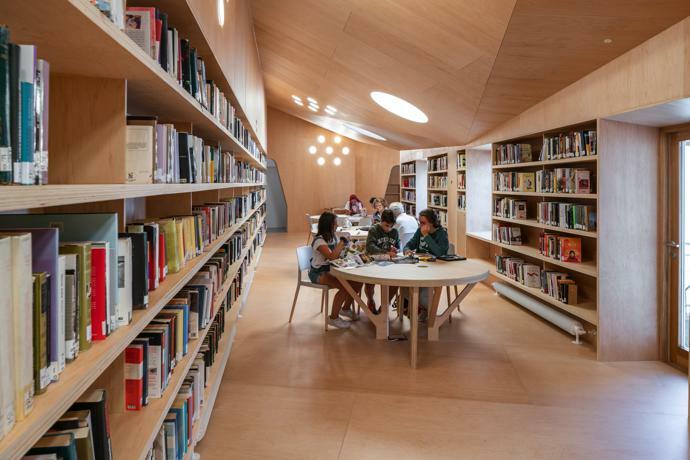 The Baiona Public Library has been recently nominated for The European Union Prize for Contemporary Architecture – Mies van der Rohe Award.